Hydroid, Inc., a subsidiary of Kongsberg Maritime, announced the installation of a new subsea Hyperbaric Testing System (HTS) at its manufacturing facility in Pocasset, Massachusetts. The testing system simulates hydrostatic pressures found at depths up to 6,000m and will be used to test Hydroid’s autonomous underwater vehicles (AUVs) and other marine robotics products to ensure their integrity at rated depth. This testing was previously performed at third party facilities; bringing this capability in-house will allow for faster response times and customized testing routines. Visit https://www.km.kongsberg.com/ks/web/nokbg0238.nsf/AllWeb/6F0372BDA57BA345C1257FDA002369C5?OpenDocument to view the full article online. New high-tech diving helmets being developed by the U.S. Navy will incorporate augmented-reality tech to keep naval divers safe on underwater missions. The U.S. Navy announced this month a "next-generation" and "futuristic" system: the Divers Augmented Vision Display (DAVD). Embedded directly inside a diving helmet, DAVD is a high-resolution, see-through heads-up display (HUD), meaning divers can see instrument readings or other data directly on the transparent display without having to lower their eyes. Visit http://www.livescience.com/55148-augmented-reality-diving-helmets.html to view the full article online. U.I. 2017 is now accepting papers for presentations on Commercial Diving, Remotely Operated Vehicles, Manned Submersibles, Instruments and Sensors, Sonar and Acoustics, Ocean Engineering, Marine Salvage and Shipwrecks, AUV and UUV Technology. U.I. invites all contractors, manufacturers, engineers, clients, and all other industry stakeholders (both inland and offshore) to showcase your accomplishments, challenging projects, lessons learned, new gear, or innovative approaches to operations in either the commercial diving or ROV track. Share your industry projections, insights, and suggested approaches to these challenging times. Don’t take what you have to offer for granted. Your presentation at Underwater Intervention could lead to a whole host of takeaways for your company, such as future contracts and greater recognition of your brand. Visit http://www.underwaterintervention.com/callforpapers to view the full article online. Recognizing and honoring individuals whose efforts and accomplishments have significantly contributed to commercial diving through a lifetime of dedication. Nominees do not have to be commercial divers, but can be any individual who has been influential and who has made a significant and recognizable life-long contribution to the commercial diving community. Inductees will be honored at the Awards Dinner at Underwater Intervention 2017. 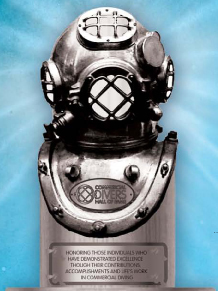 Please visit adc-int.org to download the nominations form and to learn more about the Commercial Diving Hall of Fame. This year the ADCI will award 2 Scholarships at $4,000.00 each. This ADCI Scholarship is open to members of the community of all ADCI voting member companies who are current and in good standing with ADCI, with the exception of officers and/or directors of the ADCI Board of Directors or their immediate families. This award is available for any institution of higher learning after high school including universities, colleges, junior colleges, vocational training schools and trade schools. 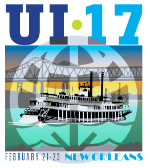 Scholarship recipients will be honored at the Awards Dinner at Underwater Intervention 2017. Please visit adc-int.org to download the application form. The ADCI is now releasing its Supervisor Nitrox Endorsement Examination. This examination is available to all current ADCI certified supervisors. On the revised Supervisor Exam Application, which can be downloaded here, qualified candidates can check the box for "Nitrox Endorsement." The cost of the examination and new certification card is $150.00. A tutorial is included in the examination package. It should be noted that a tutorial is not a course on Nitrox (enriched air) Diving Operations. Candidates should already have knowledge and experience with Nitrox operations, prior to undertaking the exam or supervising a commercial nitrox diving operation. ADCI’s new video series brings education and information from your industry and association. Stay current with what's happening in your industry by watching ADCI's video updates. Dr. Brian Bourgeois provides an overview of decompression illness in the latest installment of ADCI TV. To view the ADCI TV archives, please click here. A secret mission to persuade Tsar Nicholas II of Russia to stay in the First World War failed when Britain’s Secretary of State for War Lord Kitchener and over 700 sailors died in the sinking of the warship HMS Hampshire after it hit a mine off the Orkney Isles. 100 years later a Saab Seaeye Falcon underwater robotic system operated by Roving Eye Enterprises examined the wreck in a collaborative project that includes the University of the Highlands and Islands Archaeology Institute, with licensed permission from the Ministry of Defence. Visit https://www.naylornetwork.com/adc-nwl/articles/index-v5.asp?aid=395494&issueID=45191 to view the full article online. The Member of Parliament for Fareham, Suella Fernandes, visited Saab Seaeye, the world’s largest electric underwater robotic systems manufacturer. During her tour of the facilities at Fareham with Saab Seaeye’s managing director, Jon Robertson, the MP met the staff and saw advanced underwater robotic systems with exceptional technological capabilities including an ability to descend three miles deep under the ocean, maneuver precisely in strong currents and grasp things using enormous strength or fingertip delicacy. Visit https://www.naylornetwork.com/adc-nwl/articles/index-v5.asp?aid=395496&issueID=45191 to view the full article online. When was the last time your diving bell was fully stocked with Champagne & Lobster? The Nemo 33 pool in Belgium is the deepest indoor swimming pool in the world. As if diving deep wasn’t good enough, they added a bell to the bottom of the pool where divers can enjoy food and a drink while they relax before their ascent. Visit http://cdiver.net/news/underwater-diving-bell-restaurant/ to view the full article online. Canadian oil output is forecast to decline this year for the first time since 2009 after a wildfire in northern Alberta curtailed more than one million barrels a day for a month and low commodity prices hit producers. Total Canadian oil output will drop to 3.82 million barrels a day in 2016, less than the 3.85 million barrels a day produced last year, the Canadian Association of Petroleum Producers said in its annual forecast. Visit http://cdiver.net/news/canada-oil-output-to-fall-this-year-on-wildfires-low-prices/ to view the full article online. British marine engineering firm James Fisher’s acquisition spree continues with news it has bought Hughes Marine Engineering, the holding company of Hughes Sub Surface Engineering for up to £10m. Visit http://splash247.com/james-fisher-buys-british-diving-firm/ to view the full article online. Underwater services company Shelf Subsea has merged with the local subsidiary of global geotechnial, survey and geosciences company Fugro in a deal worth $40 million. Under the agreement, Shelf will acquire Fugro TSM, the global businesses's Perth-based subsidiary, with $20 million to be paid in cash and the other half in shares. Visit https://www.businessnews.com.au/article/Shelf-Subsea-merges-with-Fugro-TSM to view the full article online. Studies have begun by Iran and Oman on the deep-water route of a pipeline that is supposed to transfer Iranian natural gas to Oman, managing director of National Iranian Gas Exports Company (NIGEC), Alireza Kameli said. Visit http://www.yoursubseanews.com/studies+on+iran-oman+gas+pipeline+underway_136169.html to view the full article online. Liquid Robotics has appointed Dr. David McLaren as its senior vice president of engineering. In his role, McLaren will be responsible for managing all aspects of Liquid Robotics’ engineering organization and will play a role in directing the company’s technology and product development. Visit http://subseaworldnews.com/2016/08/23/liquid-robotics-names-senior-vp-of-engineering/ to view the full article online. With summer in full swing and over 3 million high school graduates across America looking for jobs or training opportunities, some may be considering which fields have the best job prospects with the least investment in time and money. And that’s a valid concern given the average 2016 college graduate will owe $37,000 in student loan debt. Visit http://www.thefiscaltimes.com/2016/07/15/6-Fastest-Growing-Jobs-Don-t-Require-College-Degree to view the full article online. Independent subsea remotely operated vehicle (ROV) service provider, ROVOP, is set to increase its Houston workforce by 10% as a result of further business growth including recent contract wins in the Gulf of Mexico region. Visit http://www.oedigital.com/component/k2/item/13297-rovop-to-increase-workforce-by-10 to view the full article online. EPA enforcement is becoming a more prevalent issue for vessels importing into the U.S. This has been in the regulations for a while but has rarely been enforced. Before a few weeks ago we had only been asked two or three times in 15 years for the EPA conformity of the engines in a boat. Within the last month U.S. Customs and Border Protection has started requesting this on a regular basis and in Miami, Customs is requiring the WPA 3520-21 Engine declaration form be submitted at the time the importation is filed or they will not accept the entry. Visit http://www.denisonyachtsales.com/2016/07/tips-for-operating-foreign-flagged-vessels-in-u-s-waters/ to view the full article online.